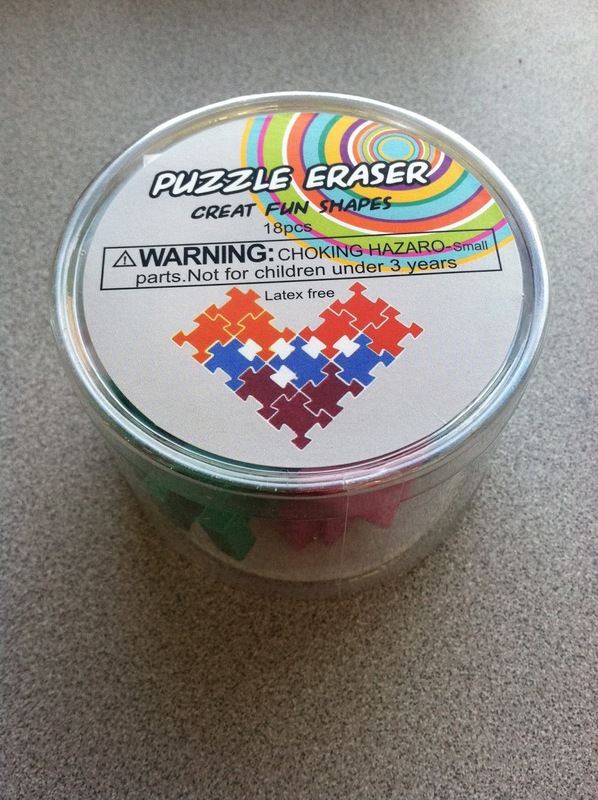 More Erasers. . . 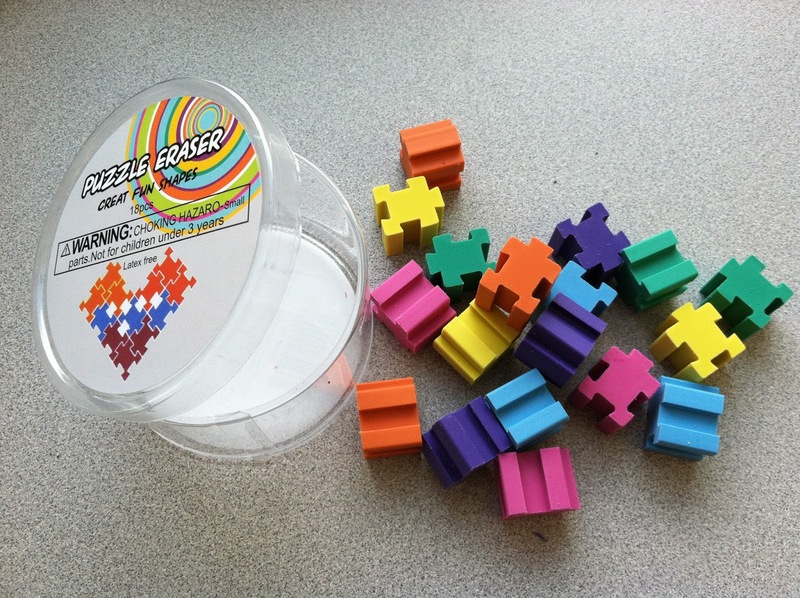 This Time Puzzles! If you saw yesterday's post it was about some erasers that I found for staff reading. Now, here's some for rhythm reading. I was able to write two rhythms on each eraser: one on each side. 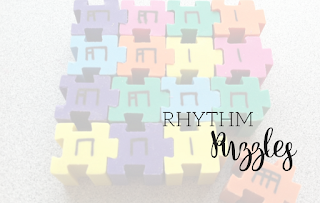 It did take some figuring out of all the different combinations I would need in order for students to dictate my "gems" for my rhythmic elements and also to provide variety from which they could choose to write their own patterns. I LOVE this idea! 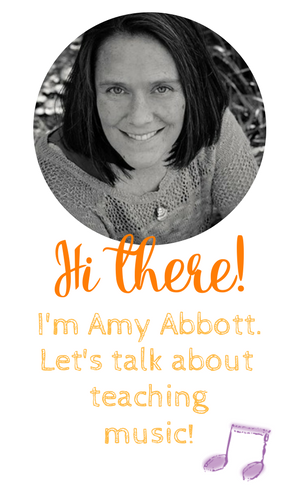 Would you mind if I (a) share it with my elementary education music methods class and/or (b) post about it on my blog? 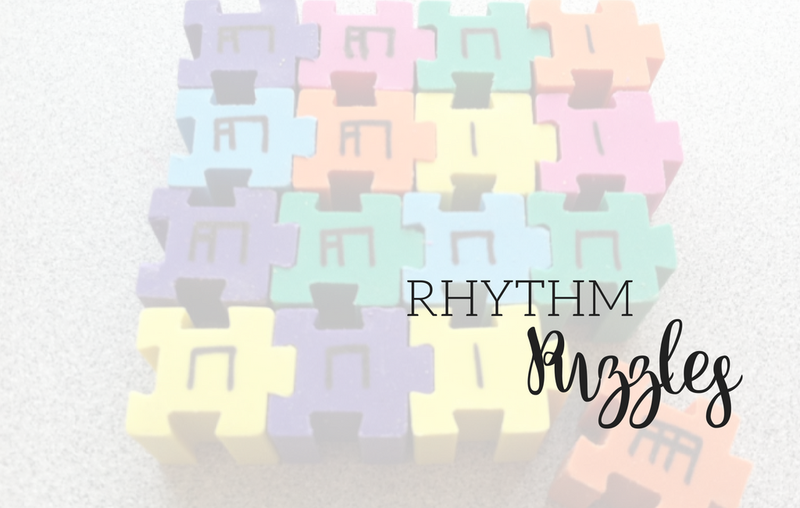 I think it's a great, reusable, portable way for students to compose their own music! Keep up the great work! Absolutely!! If you post it on your blog would you please link it back to this post? Thanks!